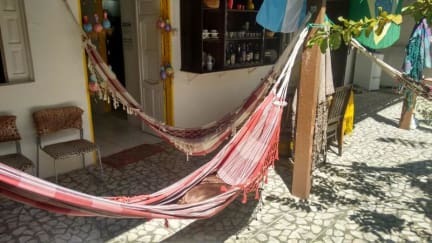 Suites e Hostel Mauri is a friendly hostel located in Porto de Galinhas. At Suites e Hostel Mauri, staff provides all care and attention for a great stay in the city. The hostel is clean and well-organized. Breakfast is available upon request, extra-fee may be applied. 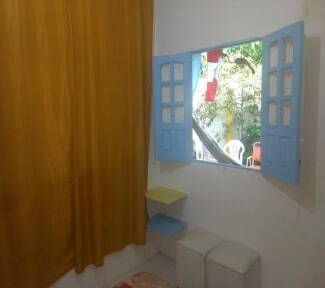 Suites e Hostel Mauri is very well-located in Porto de Galinhas, perfect location to discover the city. The hostel is located close to the best restaurants, mini markets, pharmacies, supermarkets and the natutal pools of Porto de Galinhas. Suites e Hostel Mauri offers comfortable rooms, dorms up to 5 people with private bathroom and suites private rooms for 2 people. Check-in time is from 2 pm to 8 pm. Check-out time is 12.30 pm. Breakfast not included - 12 BRL per person per day.